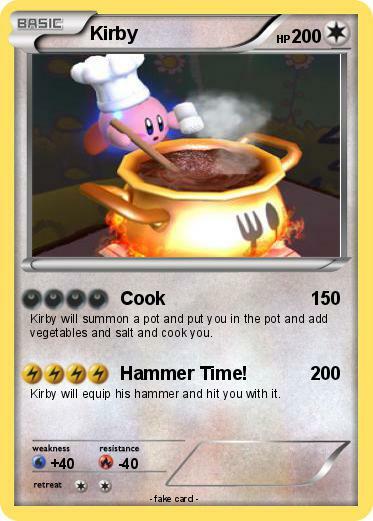 Kirby will summon a pot and put you in the pot and add vegetables and salt and cook you. Attack 2 : Hammer Time! Kirby will equip his hammer and hit you with it.